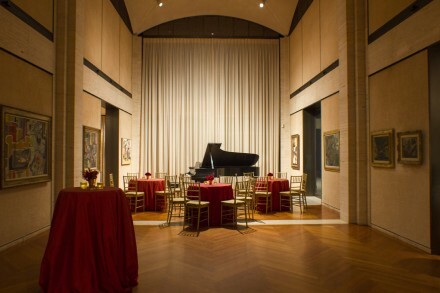 The Kreeger Museum is a unique venue to host your next private or corporate event. Designed by Philip Johnson, the building is a masterpiece of Modern architecture which houses a world-class art collection. The Museum is available for a variety of events including standing receptions, seated dinners, and business meetings. The Kreeger Museum may be booked for corporate events, standing receptions, dinners, business meetings, and exchanges of vows. The Kreeger Museum is located a short distance from the heart of Georgetown in the tree-lined Foxhall neighborhood of Northwest Washington, DC. A list of preferred vendors will be provided upon request.